Victory. 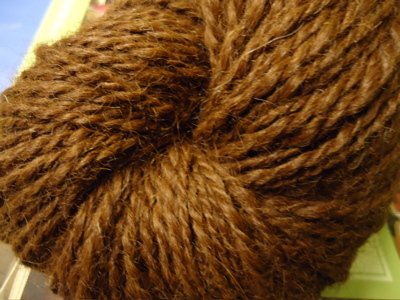 208 yards of 2-ply worsted weight rub-on-your-face-because-it-is-so-soft alpaca. I am so pleased with the result, and I can’t wait to show it to the friend who requested this spin! 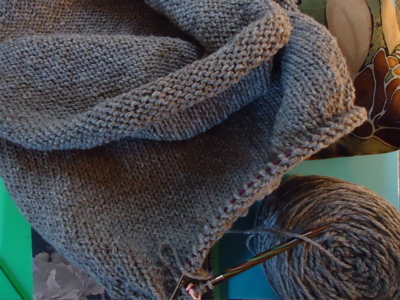 And here’s a progress shot of the cowl — I’ve completed the neck decrease row, and now I’m increasing for the raglan neck/sleeves. Still in love with this. Tuesday is my non-campus day, so while I do have plans to do quite a bit of reading, I’m also planning lunch with a friend, a decent walk with Boh, and a trip to the farm. 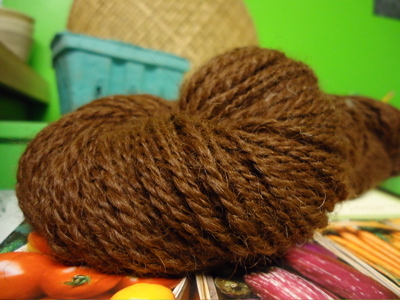 This entry was posted in knitting, spinning and tagged 2-ply, alpaca, brown, cowl, elsa wool, FO, idlewood, knitting, spinning, worsted weight by barefootrooster. Bookmark the permalink. Major WIN there on the alpaca. 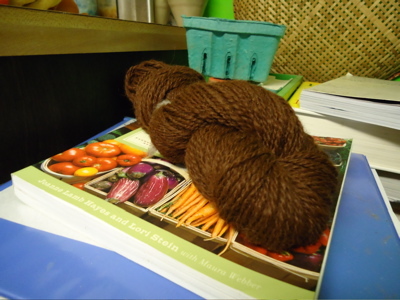 I’ve not spun pure alpaca yet. Yours looks perfect – the ply right where you want it. Sounds like a simply lovely Tuesday! Hope all is well. Yay for campus-free days and alpaca! 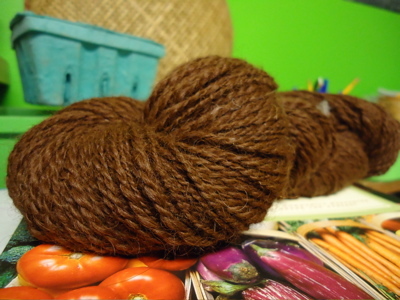 Great spinning! Sounds like you have a wonderful day planned. Enjoy it! Looks good! Hope you had a good Tuesday! 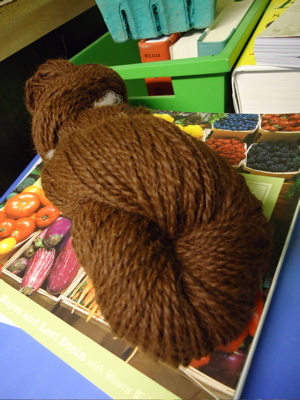 I so want to rub my face in that skein. Oh my goodness, I keep looking back up at that centerfold spread of delicious alpaca. MMmmmm. Can’t wait to touch it. Beautiful! It will definitely be something worn right next to the neck or face, just based on your description of its feel. Can’t wait!